Dogs are man’s best friend. 44 percent of Americans own a dog. While it is amazing to have companion, It isn’t always easy and fun to train them. That is where dog training app appears to make pet-owner’s life easier. Such solutions provide easy step-by-step picture instructions that helps pet-owner teach and train their pets. Teaching your pet basic obedience will make household a pleasant place for all. 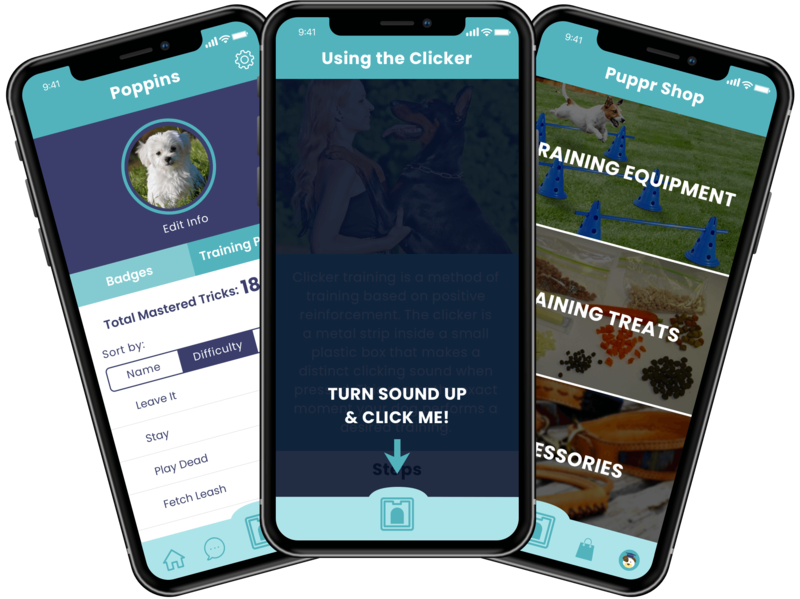 There are few dog training apps like Puppr, Dogo, Dog Training, Dog Whistle and DrogScroll which are changing the face of pet-care industry. 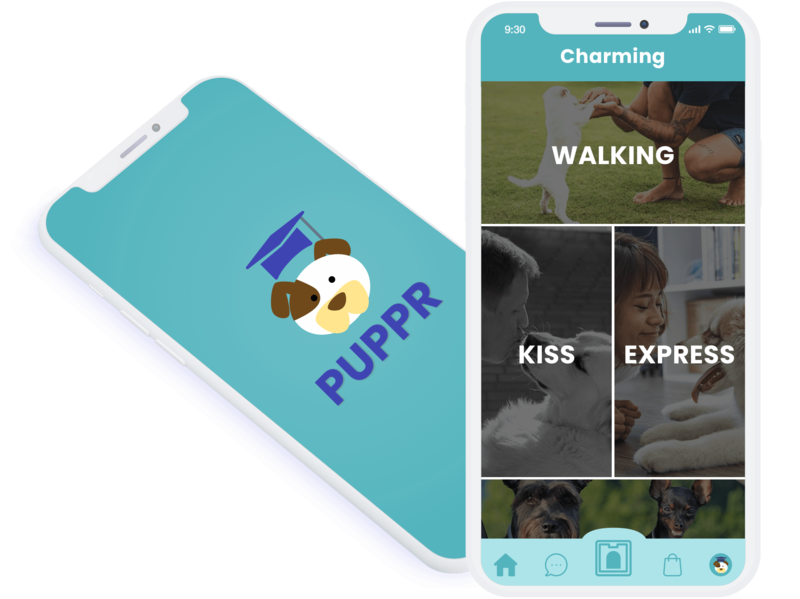 Puppr mobile application platform enables pet owners teach their own dogs with step-by-step photo instructions and built-in clicker. The platform offers basic skills like “sit” and “stay” to advance tricks like “fetch leash” and “skateboard”. It is an ideal app for new dog owners, especially puppies. There are over 50 tricks by Sara Carson & The Super Collies (America's Got Talent top 5 finalist) on the application. The basic obedience lesson packs are free. While premium lesson packs come with a free lesson and additional locked content that can be purchased. Acquire lot of users to sign-up on platform, by allowing them to create free account, view free pet training lessons. Charges for premium pet training lessons such as, “Skateboard” and “Fetch leash”. Want to develop dog training application like Puppr? 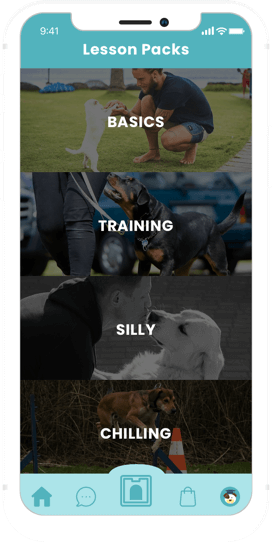 Add Video lessons to highly engage your dog training app users. The great thing about this format is that it enables you to connect with your audience at more emotional level. Integrate help and support chatbot with the system to improve overall customer. Chatbot speeds the process and brings the revenue to your dog training business. Chatbot will keep users engaged with the mobile application. Avoid “no shows” by sending gentle reminder to users via push notification to ensure that your users don’t forget their daily pet training session. Let’s Nurture has extensive experience in developing numerous mobile apps for pet care industry. How Let’s Nurture can help you develop dog training application? Let’s Nurture has extensive experience in developing flawless pet care mobile application, that ensures seamless user experience. Be it on-demand dog walking app, IoT enabled dog collar app, dog fitness app or GPS enabled dog tracking app; you name it and we will deliver a robust and scalable solution. Want to discuss developing a prosperous dog training application? Is there any possibility to add subscription model for users? Of course it is possible to add a subscription based model for users on monthly, quarterly or annual basis. What are the payment integration gateways which you will implement for my dog training mobile app development project? Would there be any provision for admin to add videos? Of course, admin users, once sign in, will be able to add, edit or remove the videos on dog training tips and lessons. Given the fact that Chatbot development can add value to a platform like dog training mobile app, how much would it cost? Being a leading IT and mobile solutions company, do you also provide Digital Marketing Services/ App marketing/ ASO along with mobile apps development? Just to let you know, we have 10+ years of experience in both the domains, Digital Marketing and web-mobile application development. Digital Marketing Services/ App marketing/ ASO is an optional add-on that we can provide if required. Have an !dea to develop an dog training app like Puppr?